Apple’s new iPhone 4 is the company’s biggest update yet for the handset and it will have you drooling. The phone is a snazzily slim, glass-backed slab that boasts some impressive specs: dual cameras, a big operating system update and video chat, among other things. Apple introduced the phone at its developer conference Monday and said it will be available on AT&T’s network starting June 24. But when the iPhone 4 hits retail shelves it will have to battle a gaggle of Android devices for consumer attention — the most significant of which is the HTC Evo. The Evo has one big advantage that Apple can’t beat. It runs on Sprint’s 4G network, while the iPhone is stuck on AT&T’s 3G service. Sprint 4G, though, is not available in most major cities, including San Francisco and New York. Size 4.5 inches in height, 2.3 inches wide, 0.37 inches thick. 4.8 inches in height, 2.6 inches wide, 0.5 inches thick. 16 or 32 GB flash drive 8 GB microSD card included, supports up to 32 GB. Dual cameras. 5-megapixel primary camera. Front-facing secondary camera (resolution unknown). Dual camera with 8-megapixel primary camera, 1.3 megapixel front-facing secondary camera. 720p, up to 30 frames per second. Built-in video editing. 720p at 25 frames per second. Yes. Native support through FaceTime application, via Wi-Fi only. Available through Qik app that costs $5 a month for premium features and higher-than-VGA quality. Basic app is free. Can be used over 3G or 4G wireless. Three-axis gyro, digital compass, accelerometer, proximity sensor, ambient light sensor, GPS. Digital compass, accelerometer, proximity sensor, ambient light sensor, GPS. 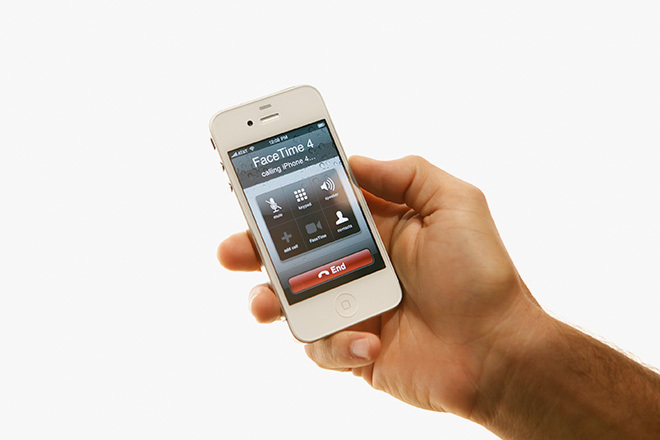 Talk time of up to 7 hours on 3G and 14 hours on 2G. Up to 6 hours of talk time. $200 for 16 GB version, $300 for 32 GB (both with a two-year contract). $200 (after a $100 mail-in rebate) with a two-year contract.